I don’t believe that there is any further explanation or specification needed, in order to present you the soundtrack releases of this very special day for vinyl manufacturers all around the world. Needless to say that the majority of these releases are bound to become top collectible items due to the very limited circulation they will have. April 21st was declared as 2018 Record Store Day. Pye Label – 10 inch LP in light blue vinyl. 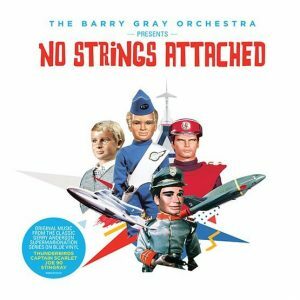 Straight reissue of a 1999 ten inch LP Cinephile released then, this Pye release is clearly a labor of love for the great Barry Gray music for the Gerry Anderson’s legendary puppet series. The disc contains nine themes from various programs like JOE 90, THUNDERBIRDS, CAPTAIN SCARLETT, STINGRAY etc and i guess that its limited issue in conjunction with the beautifully colored vinyl will attract many collectors even if the first Cinephile label issue can be easily acquired in the secondary market. Stunning release by Wewantsounds label, an independent little enterprise that carefully selects groovy and unreleased or rare albums to offer to vinyl and music enthusiasts. 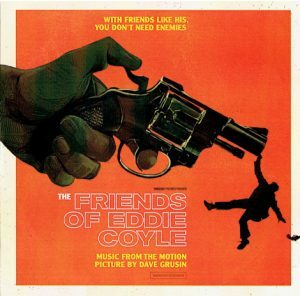 This is the first ever release on vinyl of this unheralded masterpiece of cinematic jazz/funk composed by David Grusin for a similarly hidden treasure of American cinema, Peter Yates’ THE FRIENDS OF EDDIE COYLE. Grusin composed raw jazz with some funky elements, a character-based score for an earthy and character-based movie. 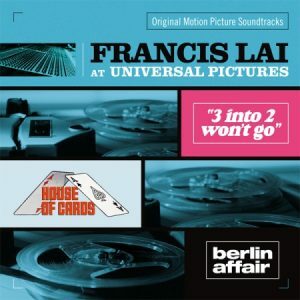 The score was previously released by Film Score Monthly label on cd together with the original score for THREE DAYS OF THE CONDOR and now is sold out. The Wewantsounds LP contains the full cd program plus one more unreleased track increasing the importance of the release. British journalist and musician David Toop wrote the sleeve notes and poster designer Oliver Barrett designed the attractive cover. A score like this deserved a vinyl release since the first day the movie released, i salute Wewantsounds label for the choice to release this gem properly on vinyl and I have already placed this album to the list of nominees for the best vinyl release of 2018. 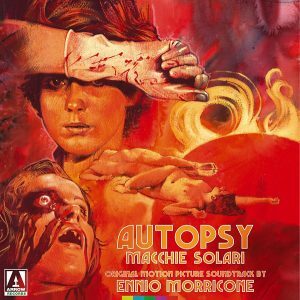 A really unexptected Ennio Morricone release on vinyl mainly for the reason that this is one of his most controversial and intriguing of the great Italian composer. His work for this four part Italian tv series that was aired during 1978 and 1979 by RAI UNO, includes some of the most haunting and complicated orchestral music he ever created. It is a difficult score, full of haunting vocals, creepy waltzes and unusual orchestrations that reflect the composer’s ingenious character approach to the series’ score. The playful whistling of DIARIO DI UN PAZZO, the mandolin scherzos of MA NON E UN VAMPIRO, the sad and eerie lullabies of KAISERSTRASSE, the otherworldly voices of LA CASA DELLE STREGHE, every idea Morricone utilizes is a showcase of his brilliance, mainly for the reason that in order to create an atmosphere of uneasiness and horror he creates a solid musical composition and not drone sounds and ambient musicscapes. 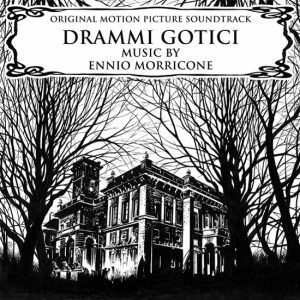 Although a peculiar choice for a vinyl release, DRAMMI GOTICI is an album that needs to be discovered by demanding listeners and film music enthusiasts. The album comes in white vinyl and my only objection has to do with cover. I assume that an artwork connected with the series or something less abstract would have fit better. Arrow Records – Limited marbled orange 180 gram. vinyl. Armando Crispino’s 1975 giallo MACCHIE SOLARI is mostly known for a grotesque and realistic morgue scene and for Mimsy Farmer’s lead as a fragile and sexualy disturbed doctor, but nobody can overlook Ennio Morricone’s score. A magnificent creation that opens with a main theme of cherubic beauty and charm and develops into some of the composer’s most disturbing and twisted music ideas. MACCHIE SOLARI never had a vinyl release before, there were only two cd releases, a short by CAM and a complete by Digitmovies. Arrow released a double LP set in marbled orange variant with the complete Morricone score as it was presented in the Digimovies cd. They officialy stated that only 900 copies were pressed. Rocket Recordings – Clear 10 inch vinyl with red blob (pool of blood) variant. 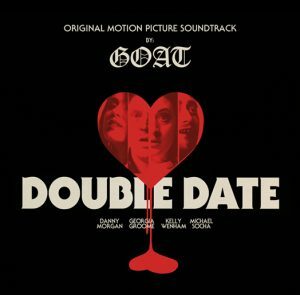 Rocket label has released the bulk of the recordings of the Swedish experimental group GOAT and i wouldn’t expect something different regarding their first cinematic assignment for the insane comedy horror DOUBLE DATE directed by Ben Barfoot. Barfoot is a big fan of the band and asked them to participate in his movie at first and didn’t also hesitate to ask them to make the music. The band created a brief but very functional electronic rock score plus an amazing adaptation of their “Run to your Mama” song that plays in a very crucial moment of the movie and – yes – they are shown performing it live. Rocket pressed a ten inch record in clear vinyl with a “pool of blood” insert as an ornament to a clearly “family affair” labor of love. 500 copies were pressed. Silva Screen – 2LP set in transparent blue vinyl. 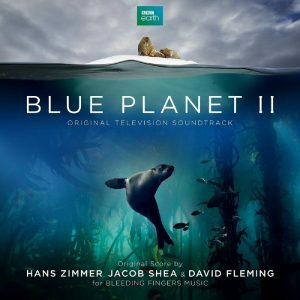 Almost 15 years after the first part of the outstanding BBC series about the water world of planet Earth, the second part came and became an instant sensation, only this time with a different composer. George Fenton and his symphonic ideas, gave way to the modern pop idol of film music, Hans Zimmer and two of his collaborators (Jacob Shea was also in PLANET EARTH II Zimmer worked for in 2016). The score is very well made and even if i personally miss the versatility and complex symphonic orchestrations George Fenton created for the first part, Hans Zimmer’s music undeniably supports the glorious visuals and is an outstanding listening experience in its entirety. Silva Screen released a special edition for the RSD in double vinyl and a beautiful light blue variant in a limited edition of 500 copies. Warner/Rhino decided to release this eternal classic on vinyl once more. I must admit that even if i am considered a human encyclopedia regarding the soundtrack releases on CD and LP, i have lost count of all the various releases Lalo Schifrin’s masterpiece has had during its 45 year existence. The contents are identical with the original first 1973 edition on LP, but what counts for the collectors is the picture disc presentation. The picture disc soundtrack scores on vinyl are really rare and the vast majority were released after the resurrection of the vinyl format, which means after 2011. This is honestly the only reason for anyone to purchase this release, that has nothing additional to offer musically than the former releases, but offers the beauty of a legendary retro cinematic artwork in all its glory. Another gem from the 70s Renaissance of American Cinema takes its rightful vinyl release as it should have happened back in 1970 when it first came out. A post apocalyptic movie about the last healthy survivor of the human race and his straggle to survive in a huge empty city among thousands of mutants. 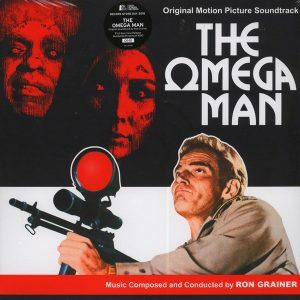 TV composer Ron Grainer provided one of the most memorable main themes – and certainly one of my favorites – for the movie and followed a contemporary style with many pop elements a choice that works beautifully to the movie. Silva Screen released a double LP presentation of the entire score as it was formerly released on CD by Film Score Monthly in 2000. The release is limited to 1000 copies. THE VENGEANCE TRILOGY Part 1, 2 and 3. Pleasantville Records – White vinyl in a gatefold sleeve limited edition of 500 copies. 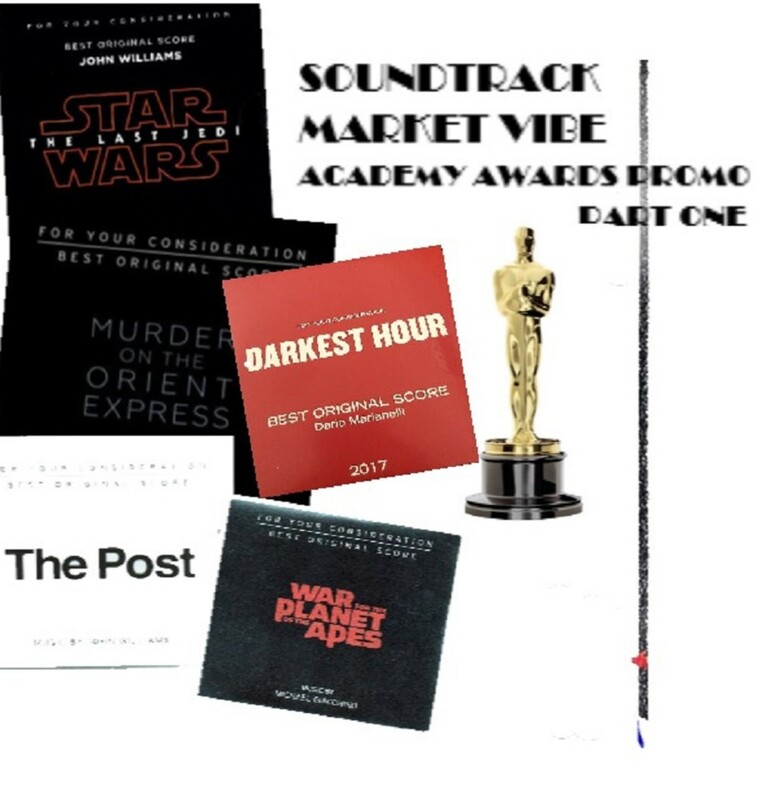 In my opinion the most overwhelming announcement of all the RSD releases, the simultaneous release of the soundtracks from the trilogy of Vengeance, three movies Chan-Wook Park directed in a period of three years from 2001 to 2004. Director Park followed three different musical directions for his modern tragedies, a contemporary minimal and experimental for MR. VENGEANCE, a deeply melodramatic and neoclassical for OLDBOY and a sentimental baroque for LADY VENGEANCE. 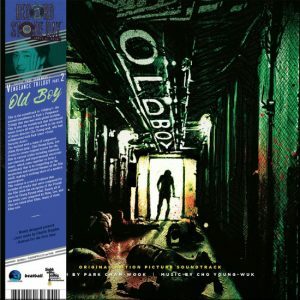 All three scores and especially the OLDBOY and LADY VENGEANCE became big influences and most Asian violent melodramas that flood the market after OLDBOY had a similar musical approach. Of course there were album releases with the scores on cd. 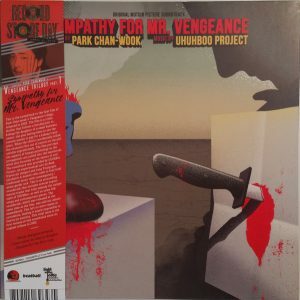 MR.VENGEANCE was released by Dreambeat label in 2002, LADY VENGEANCE by Pastel Music in 2006 and OLDBOY had a more wide presentation on cd due to its huge success as a movie. The two Korean releaeses of MR and LADY VENGEANCE became highly collectible albums and i hope that except these excellent vinyl releases there will be a reissue on cd some day. Pleasantville Records has provided a first ever presentation of these soundtracks on vinyl in beautiful packaging with colored vinyls and gatefold covers in limited editions of 500 copies that i predict will sold out very quickly. So if you want to have the outstanding music of this very important cinematic trilogy of an acknowledged auteur hurry up and spent a normal amount while you still have the opportunity. Wewantsounds – Black vinyl in gatefold cover limited edition of 1000 copies. One of the most renowned 60s pscyho-pop soundtracks gets its first vinyl release in its entirety as a special RSD edition by Wewantsounds. 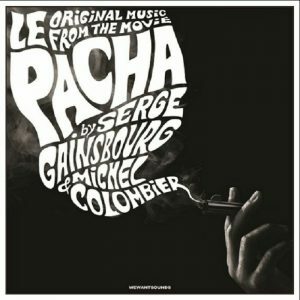 LE PACHA, a robust French thriller directed by Georges Lautner in 1968, not only had its score composed by the then already extremely famous Gainsbourg, but also an entire sequence shot in the recording studio with Serge and his band and technicians performing the legendary “Requiem pour un con”, the principal theme from the movie. 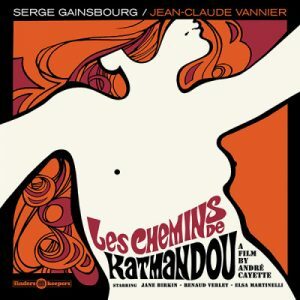 Wewantsounds released nine tracks from Gainsbourg’s score, a generous proportion in comparison with the two track single release that is anyway a top collectible vinyl soundtrack. Universal France had formerly released a 9 track program in a 2012 cd, including the hit “Harley Davidson” that the composer created for his amour – at the time – Brigitte Bardot. “Harley Davidson” appeared as a background music for a murder scene in the film but was not actually composed for it, and Wewantsounds enentually don’t include it in its program, adding instead a previously unreleased “killer” instrumental version of “Requiem pour un con”. The LP also includes as a bonus two tracks from Gainsbourg’s MISTER FREEDOM, another super cult Serge’s score from that period. Strange Disc Records – Limited Edition of 500 copies in Brown vinyl. 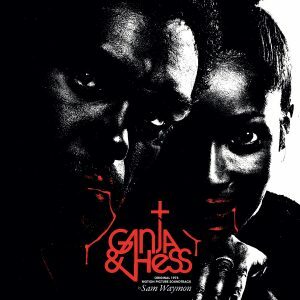 Strange Disc decided to release the soundtrack of one of the strangest and rarest movies ever made, the hallucinatory vampire movie GANJA & HESS, which actually is not a horror movie but a surrealistic cinematic study on religion and African American identity that was a sensation in the Cannes film festival in 1973. The soundtrack that was prepared by Sam Waymon who also plays as an actor in the film, is a blending of gospel, experimental, soul and tribal rhythms that function in an ideal way with the movies’ oniric feeling. This soundtrack is one of those retro gems that were bound to have a vinyl release, one of those that the digital format comes in total contrast with their artistic orientation and magnitude. 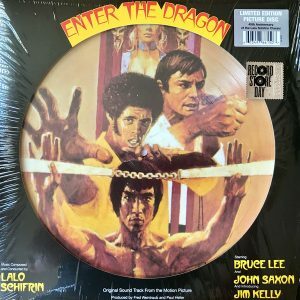 I’m not sure how many music enthusiasts will be attracted by this LP, but i’m positive that after 45 years, this release is a most welcome soundtrack release of a really important and unique film. Silva Screen – Double vinyl in white color in a gatefold cover. Limited Edition of 500 copies. A release of one of the works of a master of the legendary KPM catalogue is always welcome by us collectors who always search for the obscure and the unique and Silva Screen made it this year by offering for the first time ever – except for a very hard to find 45rpm single – the music Paddy Kingsland composed for the cult 70s BBC series THE CHANGES. Silva prepared two vinyls with an overloaded program of 77 minutes of music, mainly electronic with the addition of ingenious orchestrations with tablas, flutes, guitars and sitar (!) giving an otherworldly vibe to the music for these critically acclaimed science fiction series that aired in 1975. I must admit that i had never heard of these series and listened to Paddy Kingsland’s music for the first time, which was a great pleasant surprise that surely counts as one of the most interesting 2018 vinyl releases on my behalf. This is a limited edition of 500 copies that i believe will attract many fans of the great library music of the 70s and hopefully many film music lovers. Great releases all of them , thanks for your article ….